Microsoft will begin allowing non-US customers to store their personal data on servers located outside the US, following leaks of extensive government snooping by the National Security Agency (NSA). 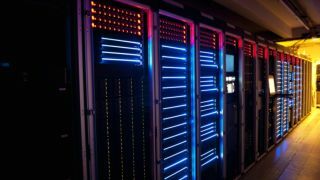 The move will give consumers and business customers the option to shift their information to local data centres, such as those based in Ireland, which will take them outside the NSA's jurisdiction. "People should have the ability to know whether their data are being subjected to the laws and access of governments in some other country and should have the ability to make an informed choice of where their data resides," Brad Smith, general counsel at Microsoft, told the Financial Times. Revelations over the past year about the NSA's widespread internet and phone surveillance have strained relationships between the US and its allies. Some countries that were the victims of spying, such as Brazil, are now bringing in new laws to prevent citizen data from being stored outside their own country. Many rival companies are opposed to the idea of letting customers choose where data is stored, which will likely be cost prohibitive, but Microsoft's decision will possibly cause some to change their minds. The move was welcomed by privacy advocates. Despite the positive nature of this development, data stored by US companies in foreign locations can still be sought by the US government through a top secret court. This could make Microsoft's decision null and void, but privacy supporters believe the move will still make it harder for the NSA to get its hands on foreign user data. Smith also called for new agreements between the US and EU to prevent similar government snooping in the future.